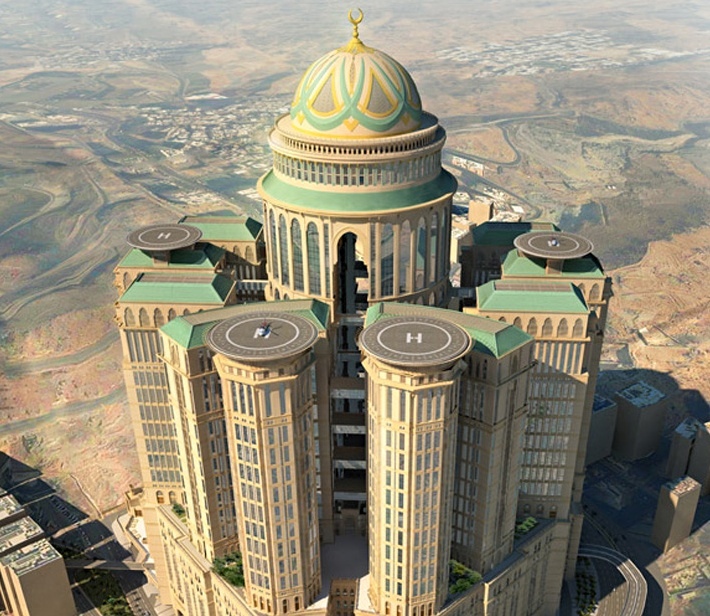 Four helipads, 10,000 bedrooms, 70 restaurants and 5 floors reserved just for Saudi royalty are only a few stats for the forthcoming 45-storey Abraj Kudai hotel in the world-famous Mecca. 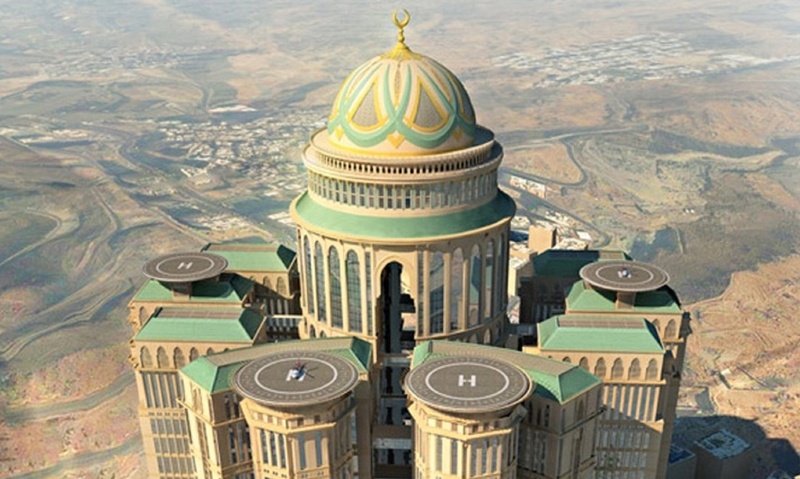 Planning to open in 2017, the the £2.3bn Abraj Kudai will be the world’s largest hotel. It is an entire city of five-star luxury hospitality and dining aimed to suit the increasingly high expectations of high-net worth pilgrims from the Gulf. As a city with extreme spiritual significance, Mecca receives about 2 million pilgrims for the annual Hajj. During the rest of the year, an additional 20 million plus visit the city and consequently it has become a popular setting for conferences, weddings and shopping, generating annual tourism revenue of around £6bn. Abraj Kudai will possess 12 towers, conference rooms, an opulent ballroom, a shopping center, food courts and a bus station. With location in mind, the hotel will tower over the the Manafia district which is a little over a mile south of the Grand Mosque. The project is funded by the Saudi Ministry of Finance and designed by the Dar Al-Handasah group, a 7,000-member global construction conglomerate that has designed everything from airports in Dubai to entire cities in Kazakhstan.